Tips for when you want to use backup dancers in your performance. When to use back up dancers: It’s very common place when seeing your favourite artist perform live on T.V, for them to put on some sort of show with back-up dancers. But it is also important to remember that sometimes to make a magical performance, all you need is you and your voice! 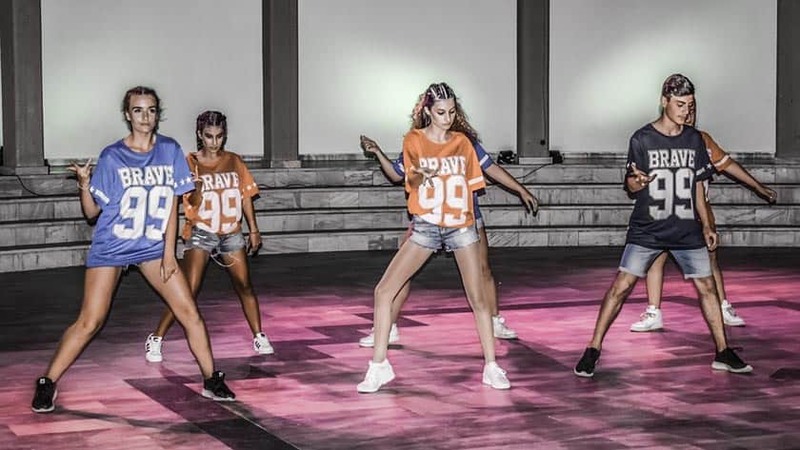 However, if you want to include back-up dancers in your performance, here are some ideas and tips on when to use back up dancers. Back up dancers are performers who dance behind, or with, the artist(s). Their movements can provide a visual symmetry and rhythm to the song being sung. Done well and it can add a lot visually to give a real show, done badly and it can look a shambles become distracting and lead to a very amateur performance. So as always practice, practice and practice some more. Warning: when using back up dancers; in most cases it’s likely you will perform a more scaled down version of the routine or run the risk of it feeling detached and disjointed. Further if you try and do the same routine it is very likely you will get out of breathe and your vocals will suffer. Ideally, it is better to include back up dancers in your performance if you are a solo act, rather than a group, as this might look messy visually if there are too many people trying to fit on stage. If using back up dancers you should have them on for more than 5 seconds, but not necessarily for the whole song, as you want your time to shine, after all. It’s important to remember the most important aspect is you, so maybe start off the performance with it only being you on stage is a good option to consider. Then as the song gets going, a great place would be a change of tempo; the back up dancers can join you to give the performance visual dynamics. However, do think about how they can come on stage, as a simple walk on from the side looks a tad dull, and too much like a school talent show, but at the same time you don’t want them to be distracting the attention away from you. HOT TIP! You can never practice enough with your back up dancers, if you know exactly what they are doing and where they will be on stage during your song, it will save any surprises or distractions when it comes to your performance. Only use back up dancers if it goes with the tone of the song, otherwise it will look very mix ‘n’ match, and will leave the audience confused. If you are certain you want to include back up dancers then make sure that the style of dance matches the song’s lyrics. It’s no good having a group of dancers popping and locking if the song has a more contemporary feel to it. HOT TIP! The image of your back up dancers is just as important as your image. If you don’t all match in some way on that stage, then the performance will feel very disconnected. Remember, just because you may be a solo artist doesn’t mean you need to have back up dancers to make your performance stand out. If you’re confident and know how to work the stage by putting your personality or emotion into the performance than this is just as good, if not better, than trying to put on a full blown creative show. Sometimes the rawest of performances is what engages the audience more.